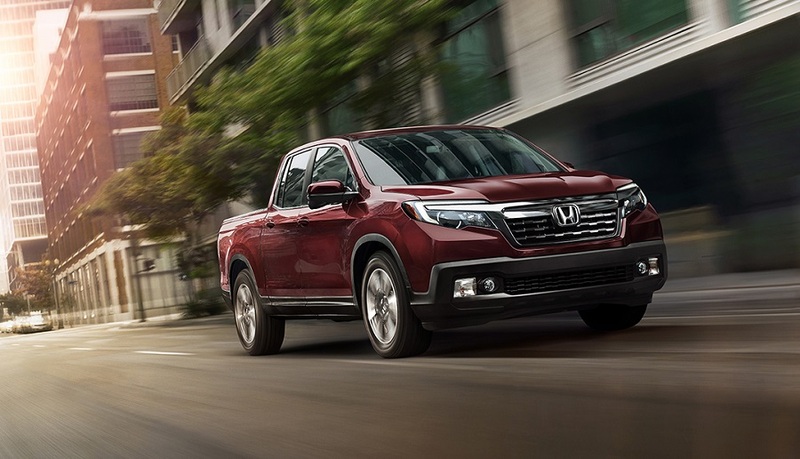 The 2019 Ridgeline has an incredible appeal thanks to its stunning exterior. An integrated rear spoiler, 18-inch wheels and a short bed highlight the modern profile of the Ridgeline. Some of the wheel finishes of the 2019 model features black-finished alloy, gray-painted alloy, silver-painted alloy and machine-finished alloy. The Ridgeline comes with the Honda’s signature grille and halogen or LED headlights depending on the trim. Other available features include a power sliding rear window, an acoustic windshield, fog lights, smart entry, powered side mirrors, truck bed lights, an in-bed trunk, an integrated trailer hitch, rear privacy glass, a dual-action tailgate, a roof-mounted fin antenna, tie-down cleats, a security system and more. To see all of the gorgeous trims and available features, visit your local dealer serving West Burlington IA. This entry was posted on Thursday, December 27th, 2018 at 9:26 am	and is filed under Brad Deery Honda, Honda News, Uncategorized. You can follow any responses to this entry through the RSS 2.0 feed. Both comments and pings are currently closed.